Are you and your family trying to make healthier lifestyle choices? With Disney’s Magic of Healthy Living contest, you may be rewarded for those healthy choices with a vacation to Disney’s newest resort destination, Aulani. Disney’s Magic of Healthy Living initiative strives to help families make healthy living simple and fun, and now they want to hear from you. Families with at least one child between the ages of 6 and 14 can enter the contest by sending in either a photo or a story of 500 characters or less. The entry should demonstrate how your family is doing, or will be doing, to lead a healthier life together, and should fit into the categories “New Foods” (demonstrating what you do to eat right and choose nutritious foods) or “New Moves” (demonstrating how you incorporate exercise into your day and make exercise fun). The grand prize for the contest will be a vacation to Disney’s Aulani Resort and Spa, located in Ko Olina, Hawaii. The vacation will be to participate in the Magic of Healthy Living Weekend & TRYathlon, which will take place at Aulani from May 30-June 4, 2012. A panel of judges will choose five grand prize winners and five first prize winners from the entries, based on the entry’s relevancy to the topic, originality, leadership qualities, and family involvement. In addition, the public will be able to vote for their favorite entries online, with five entries earning a separate Voter’s Choice Prize. 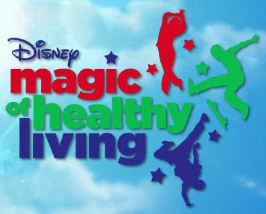 Entries for Disney’s Magic of Healthy Living contest will be accepted from January 17th to March 12th, 2012. For official rules and to enter, visit the contest’s official website here.